Regular readers of The Rake will be pleased to know that I am once again contributing regularly to the website, TheRakeOnline.com. 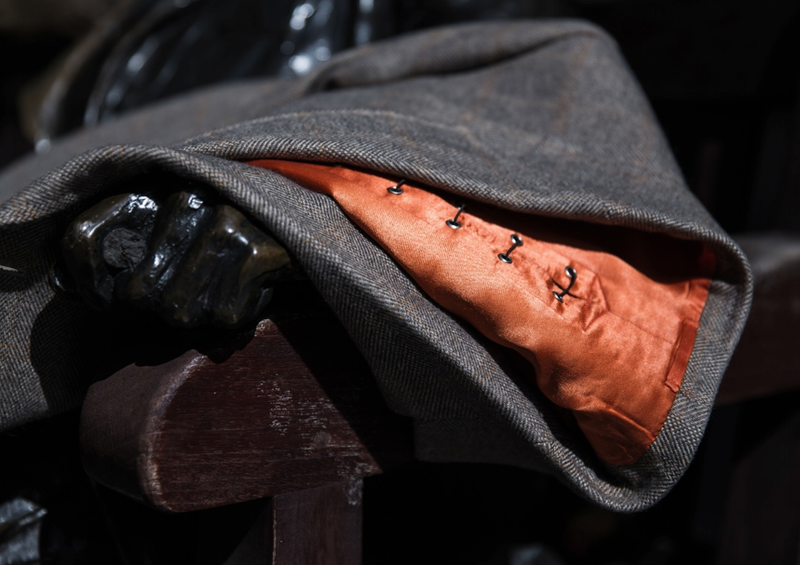 Recent articles include a look at Dege & Skinner’s trademarked Phitwell jacket, which incorporates lacing in the back lining of the jacket to help keep its pleats in place. I have also recently been appointed The Rake’s Editor-at-Large. You can follow the discussion on The Dege & Skinner Phitwell jacket, and more on The Rake by entering your email address in the box below. You will then receive an email every time a new comment is added. These will also contain a link to a page where you can stop the alerts, and remove all of your related data from the site. Editor-at-lunch! That really is the holy grail for journos. Well done, lunch away.. Thanks. Let’s just hope I don’t become ‘at large’ – nothing will fit!